Should I Really Get My Carpets Professionally Cleaned Before Summer Is Over? What comes to mind when you think of summer? How about hot, sunny days filled with fun water activities? Or maybe long, warm nights for outdoor entertaining come to mind? What you probably don’t think about is carpet cleaning! While summer might not seem like the most obvious time to get your carpets professionally cleaned, it can offer the ideal conditions for convenient and effective carpet cleaning. So when you think about when to schedule your next carpet cleaning, consider the following benefits of having your carpets professionally cleaned during summer. Most of the year’s holidays come after summer, and you’re more likely to do much more entertaining during the fall and winter seasons. That’s why summer is the perfect time to clean your carpets. Not only will your carpets be spotless and stain free for the rest of summer vacation, but they will remain clean and hygienic for entertaining throughout the end of the year. Nothing improves the overall appearance of your home like carpet cleaning. Professional carpet cleaning can even remove old stains and odors for a totally fresh new feel and look. This is the ideal way to reinvigorate your home so you’re ready to entertain and impress. The warm breezes and dry weather of summer create the perfect conditions for your carpet to dry quickly and efficiently. Carpets that remain wet and sodden after a carpet clean can lead to water staining and mold growth. This can sometimes happen with DIY carpet cleaning. If the operator doesn’t know how to correctly use the carpet cleaning machine, your home may be left with soggy and soaked carpet. Choosing a professional and experienced carpet cleaner with a good record of service helps to avoid this situation. However, even after professional cleaning, your carpet needs to dry out. Cold and wet weather can mean your carpet takes longer to dry effectively. Summer offers the ideal weather conditions to help carpet dry quickly and safely. Summer provides the ideal opportunity for carpet cleaning because you have more free time to schedule and complete the cleaning in your home. Finding the time to book carpet cleaning, complete the cleaning, and wait for carpets to dry can be difficult when you’re juggling school days, after school activities, sports, and work hours. During summer, you have more free time in your schedule to allow carpet cleaning to be completed properly. You can even schedule carpet cleaning just before you leave on vacation, so your home is beautifully fresh, clean, and dry when you return. Summer is a time that we tend to spend less time indoors. As we want to enjoy the sunshine and the warm days and nights, outdoor activities and entertaining are our first priority. This allows the ideal opportunity to keep our home tidy and make professional carpet cleaning last even longer. Spending time out of the house not only allows your carpets to dry, it maintains the effects of cleaning and keeps your carpets pristine. Beautifully cleaned carpets last through fall and into winter in top condition when you book professional carpet cleaning in summer. Can Professional Carpet Cleaning Remove Fleas And Other Pests? Dealing with an outbreak of fleas or other pests in your home can be a challenge. Fortunately, professional carpet cleaning can make it easier to purify your carpets and manage pest outbreaks to help your home stay safe and clean. But is professional carpet cleaning actually effective at eliminating pests from your carpet and soft furnishings once and for all? And can pests survive the carpet cleaning process and re-infect your home? Here we look at the effect of professional carpet cleaning on fleas and pests and how you can make use of professional floor cleaning services to keep your home sanitary. Fleas and other pests like clothes moths, carpet beetles, cockroaches and silverfish can easily gain access to your home and set up residence. Our pets, second-hand clothing or furniture, and food products are the common sources of these pests; they may also just walk or fly into your home. Getting rid of a pest invasion is often a homeowner’s first priority. Carpeting can house many pests and fleas as they love to live in the dense fibers, waiting for someone to crawl or walk by to get their next blood meal. Pest exterminators can provide the best advice on terms of analyzing and assessing your pest issues and particularly the level of invasion in your carpets. Exterminators can also provide a powerful and effective solution to kill pests and their eggs. However, some homeowners wish to prevent using harsh chemicals and treatments to kill pests, as these can be toxic to pets and children. Carpet steam cleaning and other natural treatments are often turned to as a lower chemical solution to control pests and limit their spread. Is Carpet Cleaning Effective for Pests? The answer is yes, but only for adult or dead pests and their droppings. Professional carpet cleaning should be an essential part of removing fleas and other pests from your home. Professional carpet cleaning and upholstery cleaning helps to lift adult fleas, bugs, and some of their eggs from carpet and upholstery fibers and removes dead pests and their droppings. This helps to make your carpet look, smell, and feel better as well as making the carpet and soft furnishings more hygienic. So while carpet and upholstery cleaning is effective for adult bugs, this process is not as effective for the eggs and the young larvae of fleas and other pests. Carpet cleaning can exterminate mature pests and lift them out of the carpet, but young larvae and eggs are so tiny that it can be hard to get them all. Just one egg can hatch into an adult that lays another 50 eggs per day, so all eggs need to be killed or removed to eliminate the problem. In most cases of pest infestation, chemical treatment and pest extermination may be necessary to ensure pests have no chance of repopulating your carpets. Unfortunately, this means some chemicals do need to be used to eliminate pests completely. However, once carpets have been treated for pests, carpet cleaning can be the ideal follow up treatment to remove all traces of the pests and the leftover chemicals. Depending on the type of pests in your home, steam cleaning of your carpets can be a reasonable solution to manage and control pests with minimal use of chemicals. Hot carpet cleaning treatments can eliminate adult pests, and these treatments can be sequentially followed up weeks later to get the eggs once they’ve hatched. This method may not be as effective as chemical treatments, so it’s important to discuss your needs with a pest control agency. You may also need to ascertain whether your carpet is right for this treatment with your local carpet cleaning company. Carpet protection such as Teflon coating can help to retain the flawless effect of having your carpets professionally cleaned. While most carpets come pre-treated with a protective coating like Teflon, this wears off over time, accelerating the disintegration and discoloration of carpet fibers. Teflon coating helps to prolong and maintain the condition of your carpet. This can be especially beneficial after your carpets have been professionally cleaned, when built up dirt and dust have been removed from carpet fibers. Here we look at the many benefits of Teflon coating carpet protection, particularly after having your carpets professionally cleaned. Carpet protectors like Teflon coating help to prolong the life of your carpet by both preventing stains and discoloration, and retaining carpet fiber shape and integrity. Carpet protection helps to make carpet more fluid resistant so stains and spills can be cleaned up easily. But it also helps to reinforce the carpet fiber so carpet looks fresher for longer. This means that carpets also resist crushing, wear, and other normal defects of regular use − as well as stains and spills. Because many carpets come pretreated with carpet protection when installed, reapplying carpet protection after professional carpet cleaning helps to restore your carpet to a like-new condition. Cleaning helps to first remove deeply ingrained dirt and stains to refresh and renew carpet. Then carpet protection, like Teflon coating, helps to protect carpet and restore its strength so it looks and feels like new. Carpet protection is ultimately like an insurance policy for your carpet. Even if you don’t think your carpet is at risk of spills and stains, you can’t be there to protect your carpet all the time. No matter what happens, a protective coating like Teflon ensures that if there is a spill, your carpet is safe. For busier households with more spills, carpet protection is even more important. Stains can really ruin the overall appearance of your carpet, making your carpet seem dirtier than it is. Professional stain removal can remove even the toughest stains, while carpet protection helps to prevent them from occurring in the first place. A professional carpet cleaning service will lift and remove stains, dirt, and dust from carpet for a more flawless and stain-free look but it’s the use of a carpet protection coating that will help to retain this effect for a longer lasting effect. If your household is always bustling with family, pets, and visitors, you may experience spills and stains more frequently and your carpet may wear out faster. Teflon coating for carpet provides essential protection in these conditions to ensure that the benefits of your professional carpet cleaning and stain removal last longer. Carpet protection such as Teflon coating is ideal following a professional carpet clean to prolong the cleaning effect and keep carpet strong and flawless for longer. Is Carpet Cleaning Really Worth It? Professional carpet cleaning can be the ideal solution for getting your carpets to look like new, without having to actually replace them. Replacing your carpet can cost anywhere from $1000 – $5000 or more. Finding ways to preserve your carpet and make it last longer can really save you money. However, carpet cleaning can be a significant investment as well. So is carpet cleaning worth it? Here we look at whether professional cleaning really benefits your carpet and whether it’s worth your time and investment. Carpet cleaning provides value to your home in a number of ways. Carpet cleaning helps your carpet to last longer and look newer, so you save money on carpet replacement. Effective carpet stain removal removes the need for carpet patching, which keeps carpet flawless and retains value for your flooring. Clean and unstained carpet contributes towards your overall home value as well. But carpet cleaning provides more than just economic benefits. Carpet cleaning reduces the levels of dust and pathogens in the carpet. This helps reduce allergies and asthma, and minimizes the spread of disease, keeping you healthy and providing a better quality of life for you and your family. Is cleaning your carpet really better value than replacing it? In the vast majority of cases, professional cleaning is the better option. Cleaning is much more cost effective than replacement, and most carpets can get many more years of wear with an effective and professional clean. On the other hand, a poor quality clean can ruin your carpets permanently, so choose your carpet cleaner carefully, and always opt for a professional cleaner over hiring a DIY machine. Are Those Add-Ons Worth It? Many homeowners order carpet cleaning to remove heavy stains or pet odors from their carpet. However, a carpet inspection from the professional cleaner may reveal that extra services and add-ons to the standard cleaning may be necessary to resolve these difficult carpet issues. It’s customary for carpet cleaning companies to offer special treatments as ‘extras’ to address particular carpet concerns. While these may not be covered in the standard cleaning, they can be worthwhile when they offer significant benefits to your carpet. Removing dye-based stains or stains that have been on the carpet for an extended period of time take great effort and skill to remove. Likewise, pet odors can often be tricky to remove because they can get deep into the carpet layers and require extensive deodorizing to resolve. These specialized services are often only accessible through a professional carpet cleaner, so it’s certainly worthwhile choosing these add-ons along with your professional carpet cleaning. Choosing a great carpet cleaner means knowing what to look for and doing your research. Professional carpet cleaning is a largely unregulated industry. That’s why finding cleaners with expert qualifications, professional association membership, or extensive experience is so valuable. Always choose a professional cleaner with a number of reliable reviews from customers that can testify to the quality of the cleaning. Ask your prospective carpet cleaner about their training and experience, as well as their cleaning process. Never rely on price alone to determine your choice of carpet cleaner. Cheaper options often mean poorer service, and you may get a nasty surprise with unasked for ‘extras’ when the invoice arrives. Professional carpet cleaning can be a truly worthwhile investment that adds value to your home and quality of life. However, it’s important to know how to choose the right carpet cleaner and cleaning process to get the most outstanding results and best value. Entrance mats can help create an appealing and attractive welcome to your home, but do they really have any effectiveness besides simply looking nice? In fact, entrance mats can help to defend your tile, carpet or wooden flooring from unsightly and unhealthy contaminants and keep your flooring looking clean and spotless for longer. Here we look at 6 of the most important reason you should have entrance mats at every door to your home. Of course, one of the clearest benefits of placing entrance mats at each door in your home is to encourage your family and visitors to wipe their feet and prevent mud and dirt being tracked into your home. As much as 75% of the dirt and grime in carpet is tracked in on the bottom of shoes. While all kinds of foreign particles, dirt, dust and mud can collect on the bottom of shoes and be brought inside to carpet and tiled floors, entrance mats provide the first level of protection to dirt and dust getting into your home. Dirt, dust and mud inside your home isn’t just unsightly, it’s also a potential source of germs, contaminants and disease causing particles. These germs and contaminants can become lodged within the fibers of your carpet or absorbed into the grout of your tiles and require thorough professional carpet cleaning or grout cleaning to remove. Entrance mats help to remove layers of dirt and grime from you shoes that otherwise could carry germs into your home. Excess dirt and dust being brought into your home on visitor’s shoes could mean that you need to vacuum, spot clean and deep clean your carpets, tiles or floorboards more frequently in order to create clean, safe and healthy conditions within your home. Professional carpet cleaning and tile cleaning is normally recommended twice per year, however failing to use entrance mats at your doors could boost the need for professional floor cleaning to as much as 4 times per year. One of the greatest advantages of entrance mats in your home is increasing the safety of your home and diminishing the risk of slips and falls. Rainy wet weather outside can mean that water gets tracked into your home, and water combined with tiles or hardwood floors in your home can mean an increased risk of slips, trips, falls and injuries. Entrance mats help to collect water and mud before it enters your home, reducing your risk of falls and keeping your home clean and beautiful. Entrance mats can add a decorative touch to your home as well as providing added safety and cleanliness. An attractively designed entrance mat integrated with the style of your home complements your entrance way and provides the perfect welcome to your home. With dirt, dust, chemicals, pesticides, and contaminants being tracked in on shoes and trapped in carpet and floor cracks, these particles can cause issues for indoor air quality. 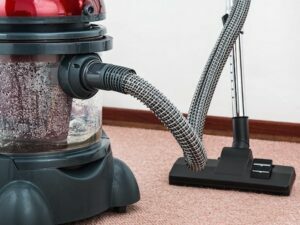 Dust, chemicals and contaminants can be stirred up during regular traffic or vacuuming, elevating levels of indoor pollution and causing issues for those with asthma, allergies and sensitivities. Entrance mats can help to catch these contaminants and prevent them affecting the air quality in your home. Entrance mats help to create the ideal welcome to your home, making your floors safer, cleaner and healthier, and promote the longer lasting benefits of professional carpet cleaning and professional floor cleaning for a cleaner and more beautiful home environment. Why Should I Use Entrance Mats In My Home? Using entrance mats inside and outside of doorways will reduce the amount of soil brought onto your carpet. As much as 75% of the dirt and grime in your carpet is tracked in soil. The quicker you attend to a spill, the easier it is to remove. Always blot the spill. Use a clean, white absorbent cloth, Never rub or use a brush. Rubbing can actually make the stain worse and permanently alter the look of the carpet fiber or fabric. Nothing is more important for maintaining beautiful, long lasting carpet than vacuuming. Dry soil is abrasive and can actually damage carpet fibers, causing accelerated wear. In addition to creating a dingy, poor appearance, it will also diminish the effectiveness of your stain-resistant protective coating. You should vacuum once a week for every person living in your household. A Vacuum with a beater bar will give the best results. **Vacuum bags should be changed when they are 2/3 full to not lose effectiveness. A fabric protector is the perfect solution for protecting your carpets and upholstery from soil and stains. It also helps to extend the life of your carpets and upholstery by making the removal of dirt easier and by helping restore stain blocking performance for easier food and spot removal.